Your time in braces will largely depend on the type of problem you have . However, simple solutions can often take no more 4-6 months. Most commonly, Phase I treatment typically takes 12-18 months and Phase II treatment typically takes 18-24 months. Dr Touni dedicated to accurate treatment time estimates. In fact, we evaluate this monthly. Currently, we finish more than 95% of our patients on time or ahead of schedule. Dr. Touni offers treatment using Invisalign technology. This technology combines three-dimensional computer graphics to design and manufacture custom orthodontic appliances called “Aligners”. They are virtually undetectable, easy-to-use and comfortable to wear. This new technology is not suitable for everyone. If you are interested in Invisalign please call our office. When younger children (3rd or 4th grade) have braces, this usually means they are undergoing interceptive orthodontics, or early intervention (Phase I). 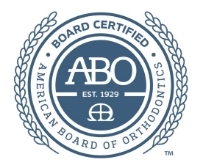 This almost always implies a second phase of orthodontics later (Phase II). Orthodontists' philosophies on early treatment vary greatly. Dr. Touni feels early treatment is warranted only if failing to treat early will result in a compromised adult smile and bite. Usually, this means children that have severe jaw discrepancies or severe crowding.